Facebook Tips and Tricks: Did you reset your password in Facebook after "Adobe" hack ? Did you reset your password in Facebook after "Adobe" hack ? 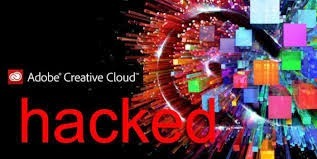 News last month stated that Adobe was hacked on 3rd October, which held 150 million users account's and other personal information like name, profile picture, Geo location, credit card number, etc. Users normally use the same passwords for logging in different sites. If you have your account with Adobe and also with Facebook and the same password you are using for signing into both, then due to the Adobe security hack, your password with other details may get stolen in the issue. To protect its users, Facebook is taking some important steps by asking anyone that used identical login credentials to change their Facebook password immediately. Facebook engineers are searching through the publicly posted database that has details on Adobe accounts. If match is discovered, then Facebook displays an alert message of a "security incident on another website not related to Facebook". The time has come for you to reset the passwords in Facebook to avoid your personal credentials being stolen.